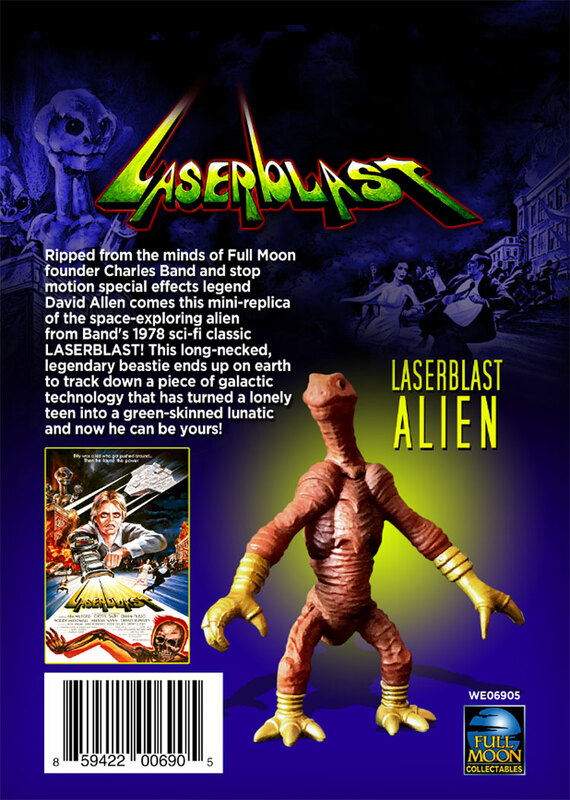 Ripped from the minds of Full Moon founder Charles Band and stop motion special effects legend David Allen comes this mini-replica of the space-exploring alien from Band's 1978 sci-fi classic LASERBLAST! 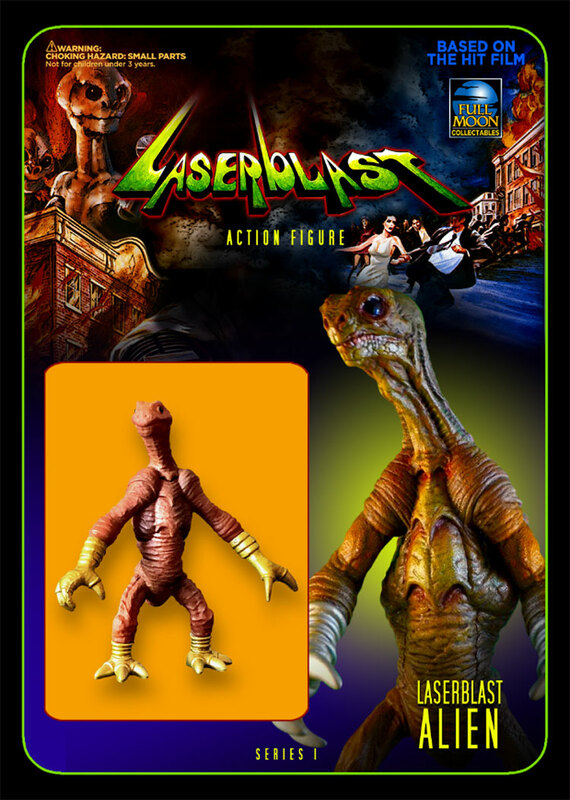 The second of Full Moon Collectables 'Series 1' action figures. 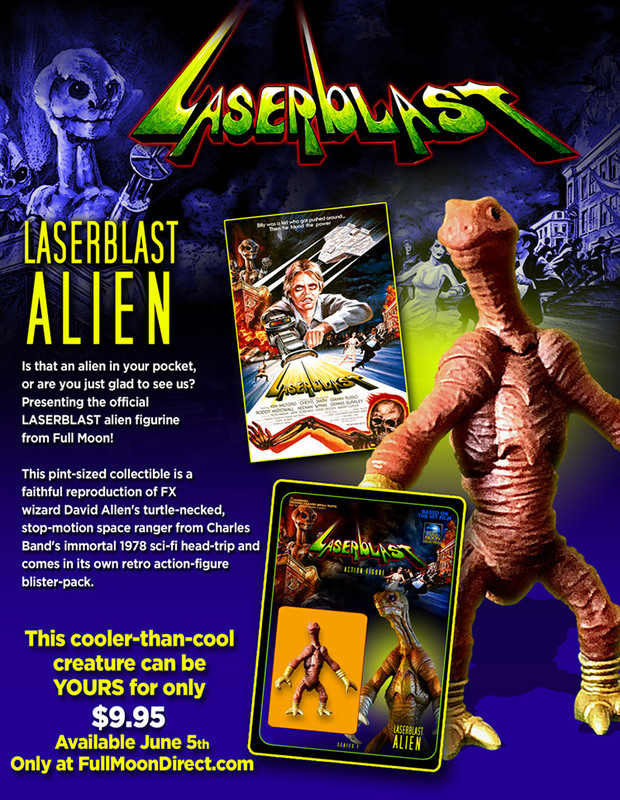 This long-necked, legendary beastie ends up on earth to track down a piece of galactic technology that has turned a lonely teen into a green-skinned lunatic and now he can be yours!